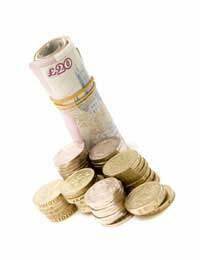 As an apprentice the minimum that you can be paid a week is £80. As you are very new to the industry and are still training, your pay will be much less than other established staff members earn. However, your apprenticeship will probably last a couple of years and during that time you gain more experience and increase your skills. You may then feel that you progress should be rewarded with a pay rise. This is a reasonable request but you need to approach your employer in a mature and well thought out manner to prove why you are worth it. Asking for a pay rise one month after starting your apprenticeship is not going to go down very well. You need to have been in your job long enough to progress and prove that you are valuable to the company. You should be given regular appraisals and these are a good time to raise the matter of pay. Try picking a time when your employer is relaxed and you have recently done something to impress them. This will make it more likely that they will consider giving you a pay rise. To get your boss to increase your pay you need to know exactly what you want. There is no point going in a vaguely talking about wanting more money. Consider how long you have been there, what other people are earning and find a reasonable number that reflects your experience. The clearer you can be about what you want, the easier it will be for both sides to negotiate a deal. To make a successful request for a pay rise you need to be able to prove why you deserve it. Look at the work you do and be able to give solid examples of how you progresses, what you bring to the company and how you have gone beyond your job description. Think about what your boss may ask you and formulate some confident responses that illustrate your achievements at work. If you manage to convince your boss to increase your pay you need to live up to their expectations, otherwise, next time they will say no. Continue to work hard but also make sure that they know about it. Speak up in meetings, tell your colleagues what you are doing and be able to prove your worth at your appraisals. All these steps will not only set you up for another pay rise in the future but for progressing in your career and gaining good references when you leave you job. Asking for a pay rise can be an intimidating experience, especially when you are an apprentice. As you progress, learn more about the industry and increase your skills, you deserve to have it recognised in your pay. Plan your approach by choosing a good time and being able to give solid examples of why you deserve a rise. Many employers are encouraged by the apprenticeship system which may allow them to take on employees where they wouldn't ordinarily be able to afford to, in return for offering training on the job. However, if you are 19 and have been employed as an apprentice for over one year, then your wage should rise to minimum wage in the second year, please see link here. I hope this helps.